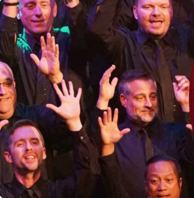 Last week, the San Diego Gay Mens Chorus had a benefit concert where they used DipJar to target people who wouldn't normally donate. With their DipJar set to $20, the chorus sang their hearts out and raised $1,180 with DipJar alone. The money goes to funding a local children's chorus. A singer in the group Bob Lehmen said, "The DipJar was a fun and easy way to engage people who usually don't have cash and would otherwise not donate." The group shows the crowd their DipJar on stage and creates hype before they take donations. Their charisma and excitement around DipJar makes for an expert fundraising strategy! Komen Greater NYC is running a series of super cool fundraisers. Last week, they partnered with a company and have the executives and managers tend bar at a local hot spot. Taking 30 minute shifts, each shift competes for the most 'tips'. Raising $14,425, Komen knocked it out of the park. Komen works hard to fight breast cancer by endlessly fundraising. With table games, and additional fundraisers around the bar, they kept donors entertained, engaged, and excited!